Although this filter pitcher removes small particles, their informational imprint remains. While these methods may rid water of contaminants, they can also rid water of valuable trace minerals and nutrients. Additionally, while these methods may remove matter, they don’t remove information. We know that water takes on environmental information. Thus, we can assume that it also takes on information from particles and contaminants. Accordingly, even though filters succeed in removing physical matter, this matter leaves an informational imprint which can continue to affect us. As we mention above, water not only absorbs the materials (matter) with which it comes in contact, but their energetic information as well. Studies by Masaru Emoto, a Japanese energy scholar and researcher, make this clear. Emoto photographed water before and after it had been exposed to negative and positive influences (e.g. music, negative statements). The resulting photographs show changes in the molecular structure of the water that reflect the nature of the information to which it was exposed. 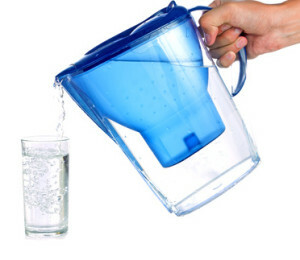 Many naturopaths work with water’s ability to absorb information. There are also systems which work with this property of water and use equipment to inform water throughout a water system. Swiss Harmony’s Water BioTuner does just this. Our Water BioTuner attaches centrally to the outside of the main water pipe. In homes where access to the main water pipe isn’t an option (e.g. apartments), we offer a smaller option, the Water MiniTuner, which attaches under the counter or onto a faucet. Information is then transferred from the Tuner to the water based on the law of resonance. Swiss Harmony’s Water MiniTuner can be installed easily under a sink or on a faucet. Swiss Harmony’s Water MiniTuner reliably rids your water of all harmful information. Swiss Harmony’s Water BioTuner transmits pure information and does not energize. The information used corresponds to the spectrum of visible light and causes the water flowing past it to take on a harmonic base frequency. In such a field, information that does not meet this oscillation pattern is lost. As a result, the water takes on the quality of the purest spring water.